Looking for a boutique Meredith, NH hotel? We are located near Meredith and offer an exceptional getaway to NH. 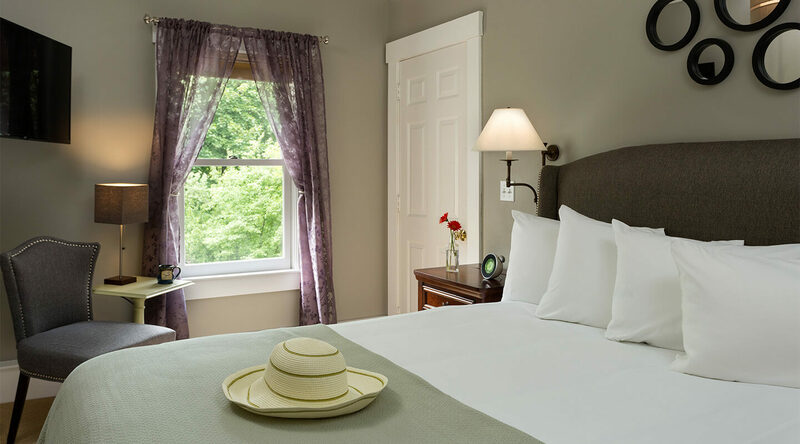 Our Lilac room is a sunny, upstairs room with queen bed that over looks a stunning wooded area. This room also features a private bath, ceiling fan and air conditioning. 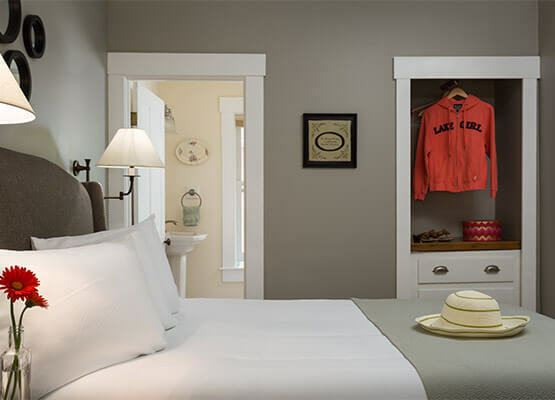 Find your perfect room in our New Hampshire inn.